It was at a time when self-hosted WordPress.org was nothing short of rocket science to me. I had no idea how that worked and I thought of that as too difficult of a task to accomplish. I wouldn’t have started a blog in English if it weren’t for the ease of use afforded by WordPress.com. More than a decade later, WordPress.com remains my primary choice for blogging. 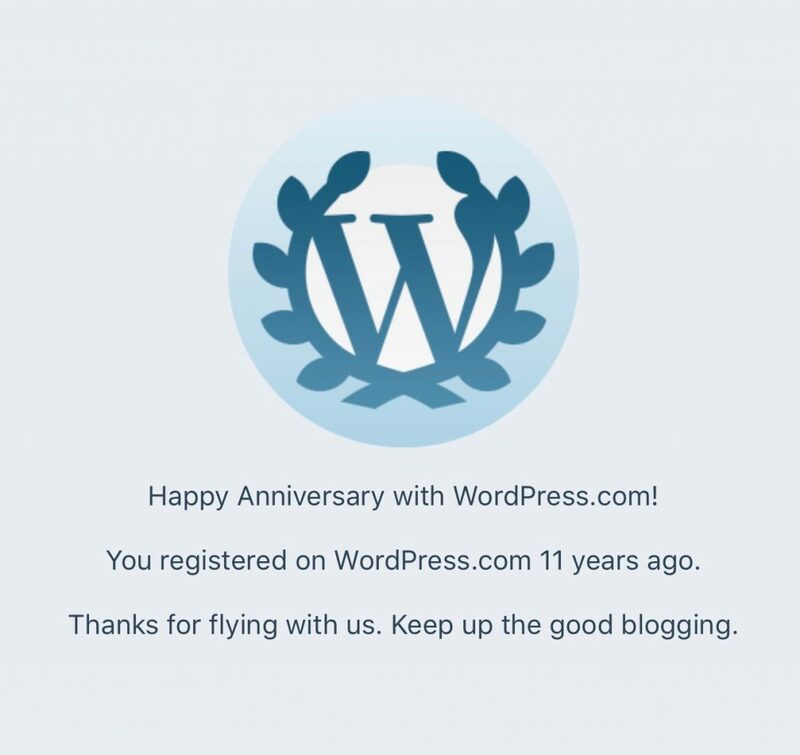 Sure, I have other self-hosted WordPress.org blogs too, but when I remember how much of a beginner (with very little idea of how WordPress worked) I was 11 years ago, and how easy WordPress.com made it for me to start blogging in seconds, I feel almost grateful. Looking back at all those years of blogging, I do think that if I was a bit more active, I would probably have achieved some more. Thanks to blogging, I’ve made some amazing friends both at home and abroad. I’ve had some cool opportunities (such as covering an event for the US embassy in Dhaka), traveled abroad and met some of my readers in real life. I also see so many things that wouldn’t have happened if it weren’t for my blogging. Some readers who either found my posts useful or just related to me on a personal level got in touch. I’m still friends with many of them on social media. Someone asked me recently, why do I even write blogs when I don’t make money from it. It’s true. I have made some money over the years from my blogs, but they have never been my primary source of income. Not that I don’t want to, but I’ve just never given it my 100% as a business (which you need to do if you want to make any meaningful amount of money from it). So, there’s definitely a lot that I could have achieved had I been more active in blogging. But looking back, I also see so many things that wouldn’t have happened if it weren’t for my blogging. I’m happy I decided to start a blog so many years ago. And despite my feeling of existential crisis with writing/blogging (what with people reading less and watching videos more), I don’t think there is an end of the road for my blogging. I still enjoy writing as much as I did in the early days. That’s not something that’s going to dim anytime soon.